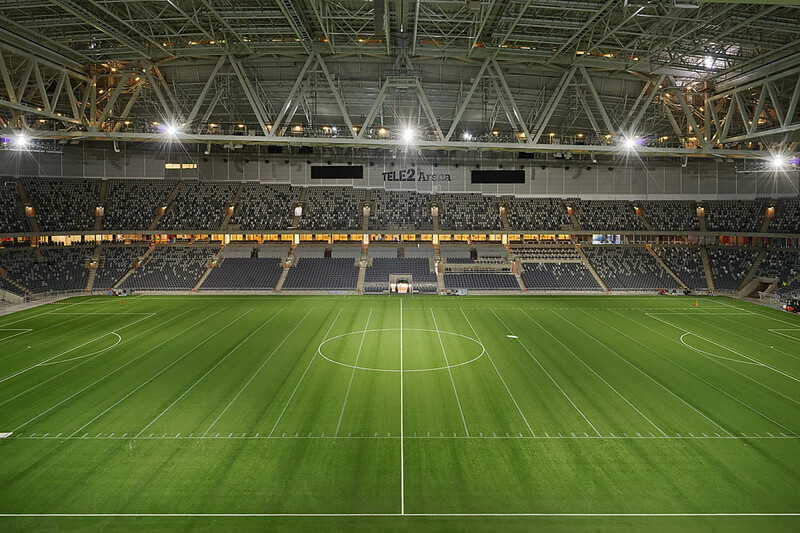 Tele2 Arena from whitearkitekter on Vimeo. 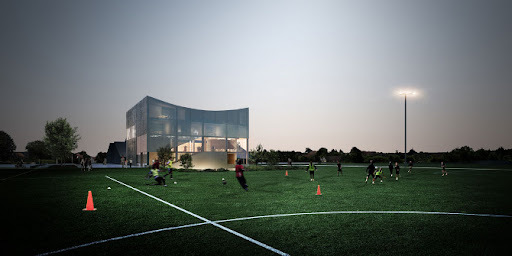 The project has been taking place in various forms in the office for ten years. 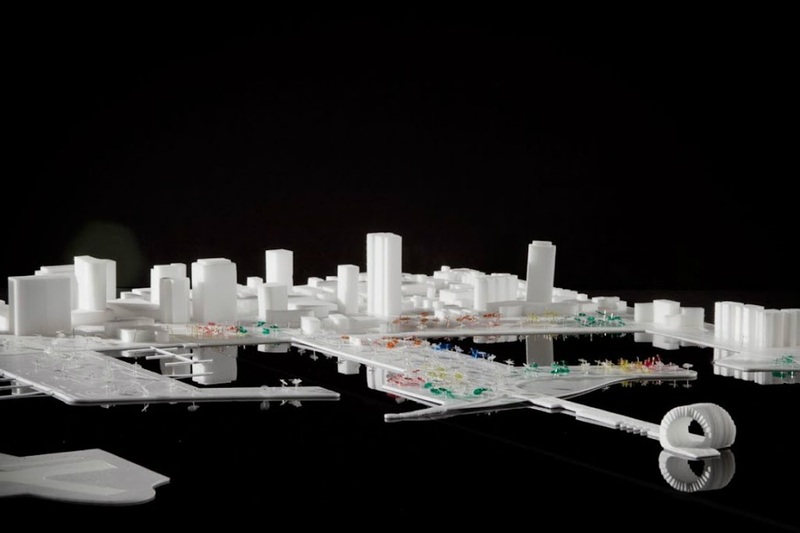 It was introduced as a parallel assignment in 2002 with subsequent investigations into size and location. 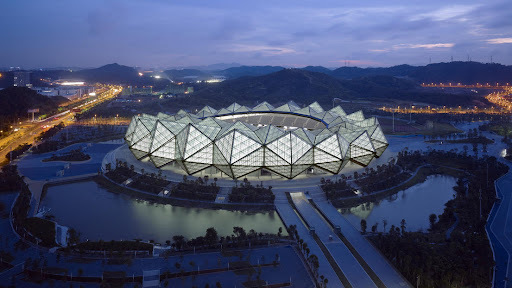 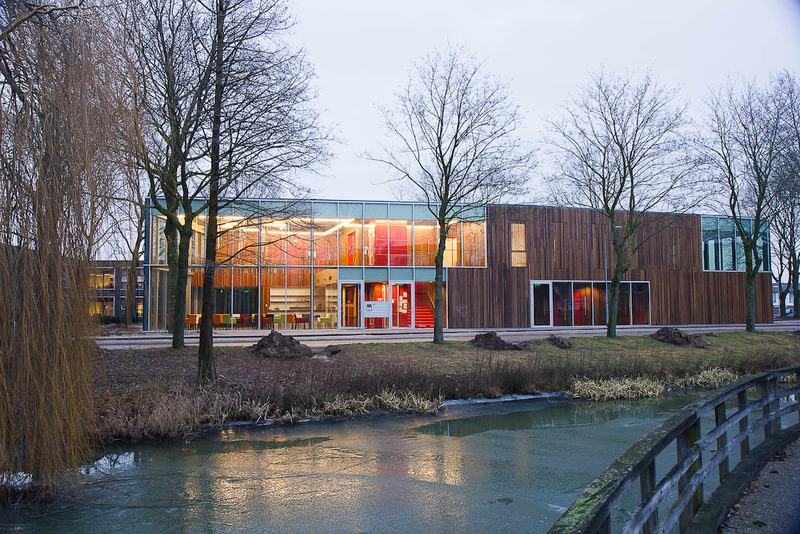 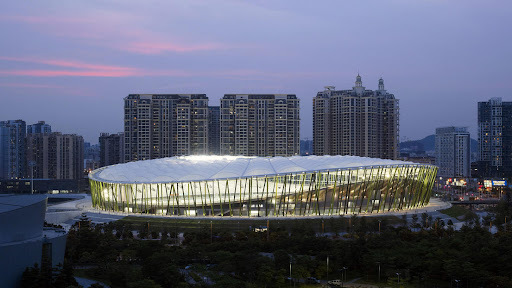 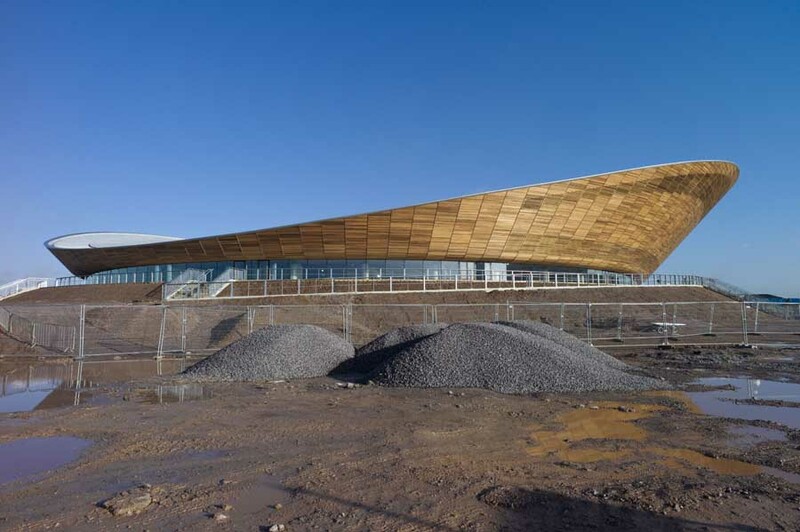 In 2007, the project took on more concrete form with a basic procurement procedure for a total contractor being progressed in collaboration with Arup Sport and WSP. 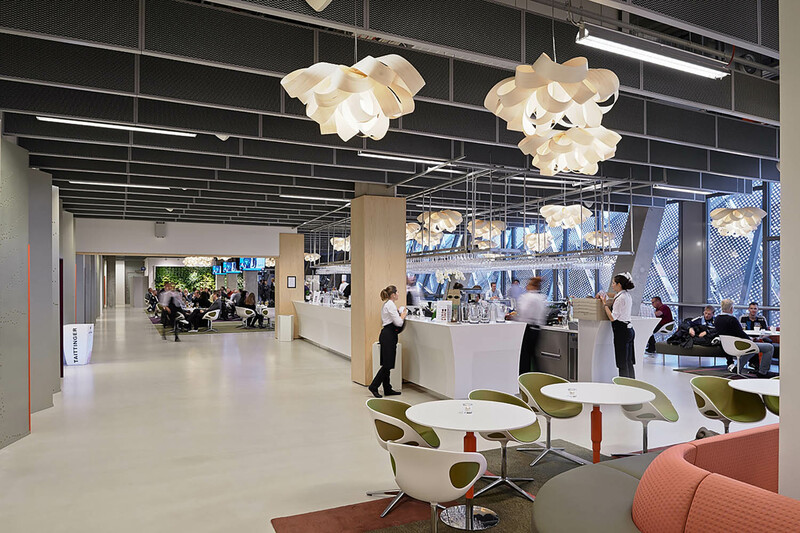 Peab won that procurement process and, since 2010, White has projected designing system and construction documentation together with the client, total contractor and other consultants in shared premises. 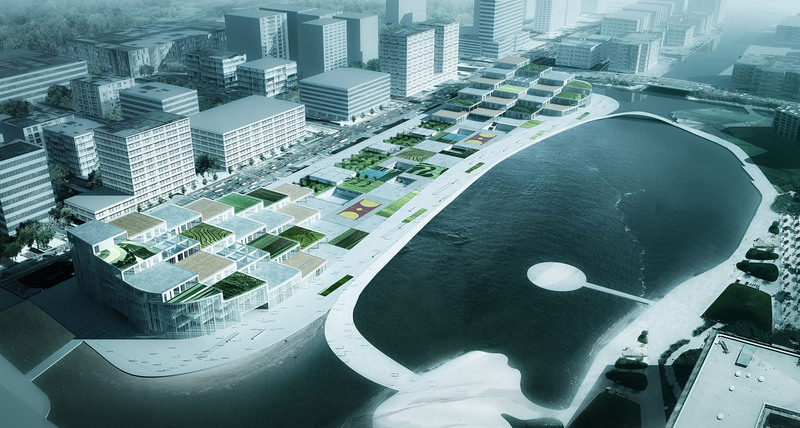 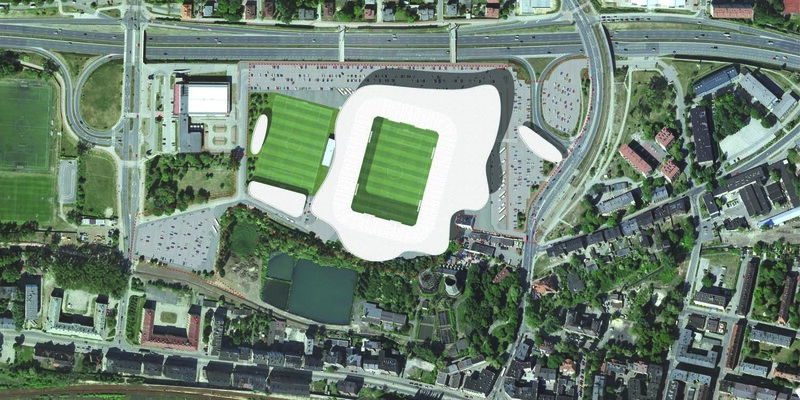 The investment also includes new commercial spaces, hotels and offices beside Söderstadion. 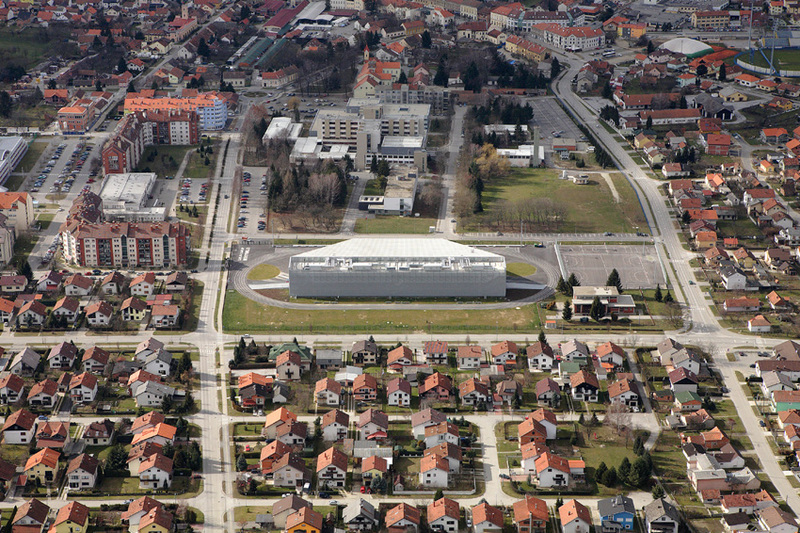 The large public spaces that surround major arena projects have largely been integrated into the arena. 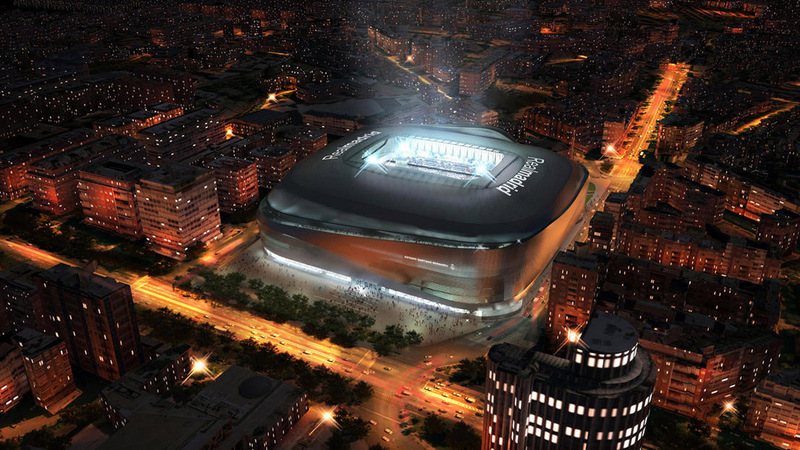 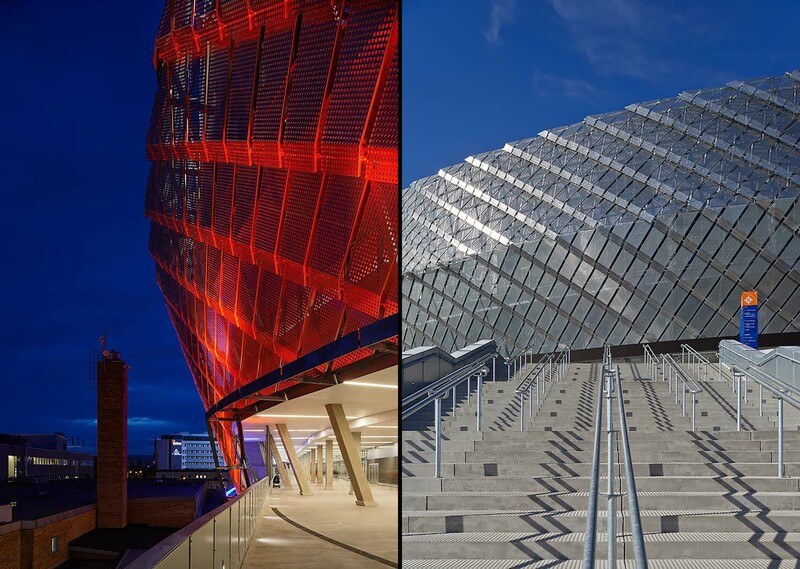 The Scandinavian concept for the Tele2 Arena spans both design and social dimensions. 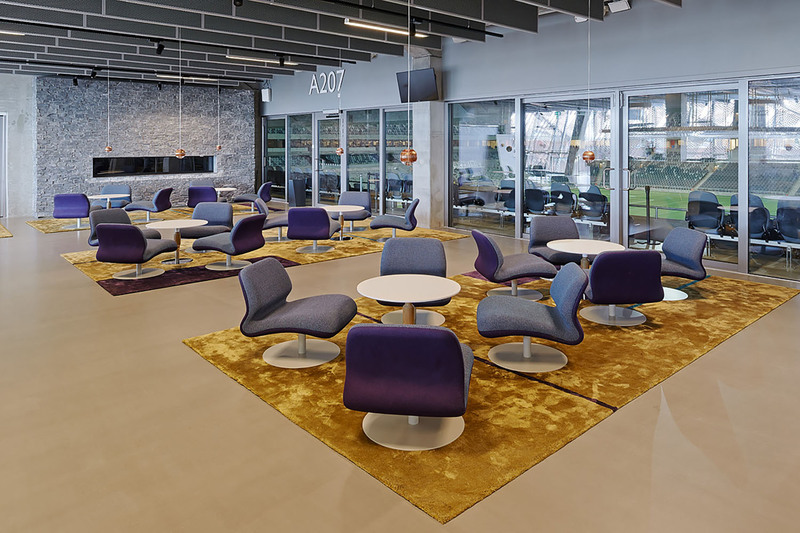 White’s goal has been to provide an open arena where everyone is welcome to meetings and experiences in a class of their own. 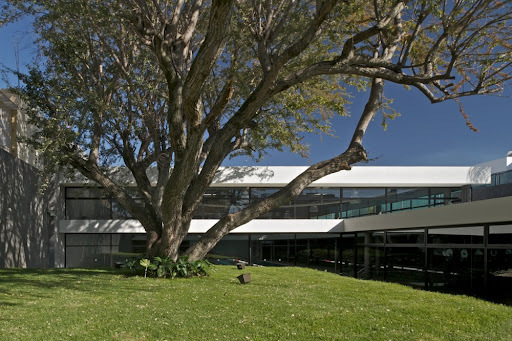 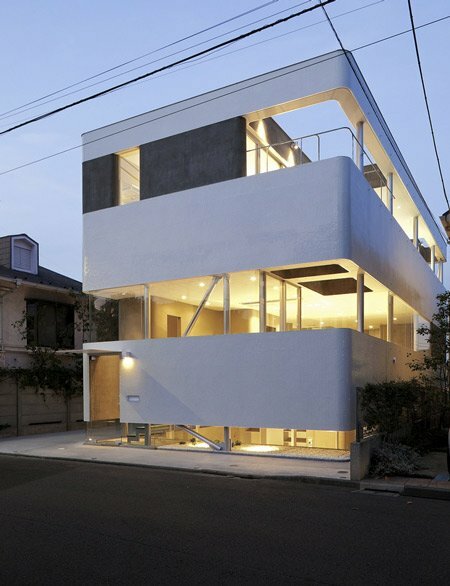 The design and construction are characterised by simplicity and openness. 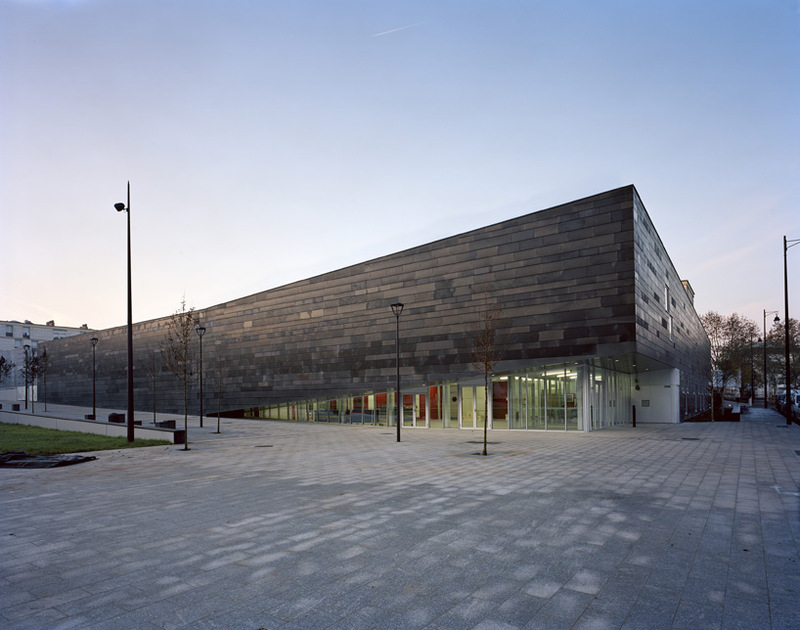 The building is open and clear in an almost unique way, and the balance between the finely worked and unworked raw aspects creates tension and contrast. 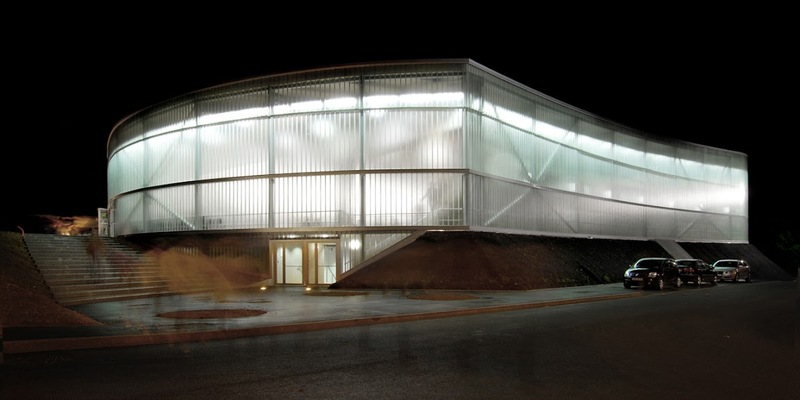 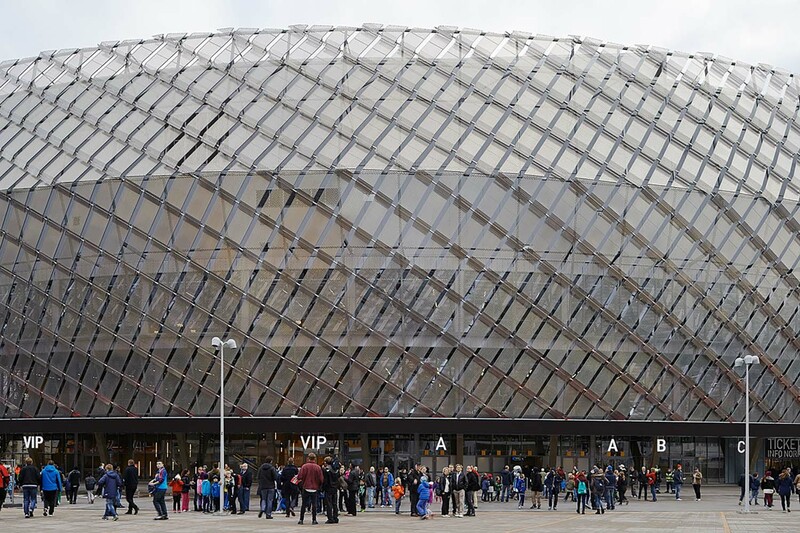 The façade is shaped as a wicker basket in metal, which envelops the entire arena. 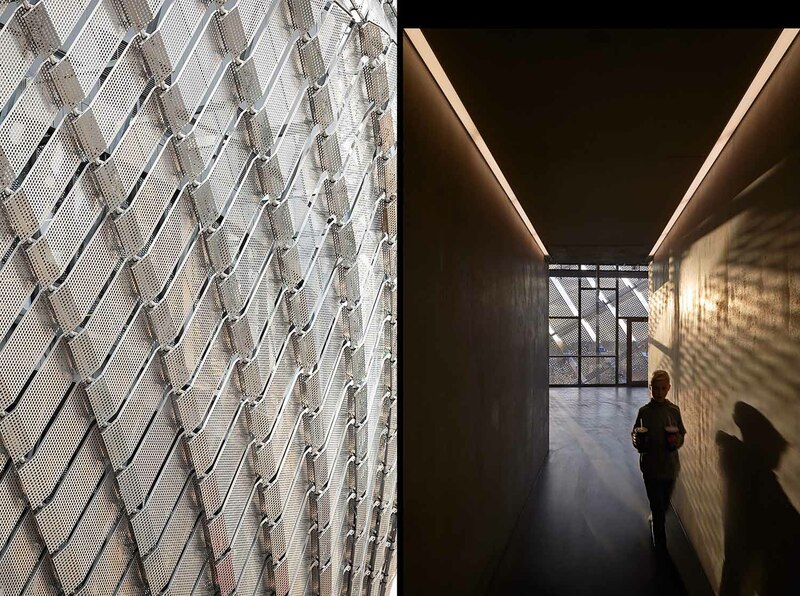 The refined plate framework reflects all shades of light. 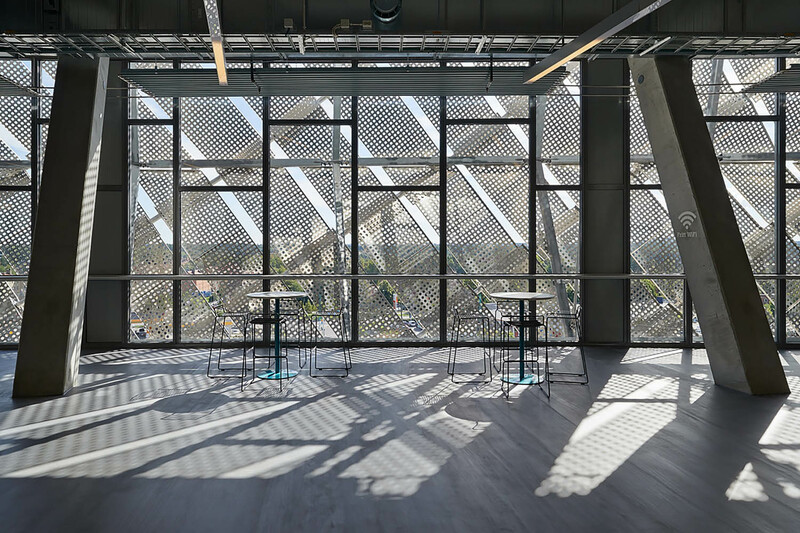 To permit visual transparency, the façade is perforated, which also means that it is perceived as light, almost like a fabric. 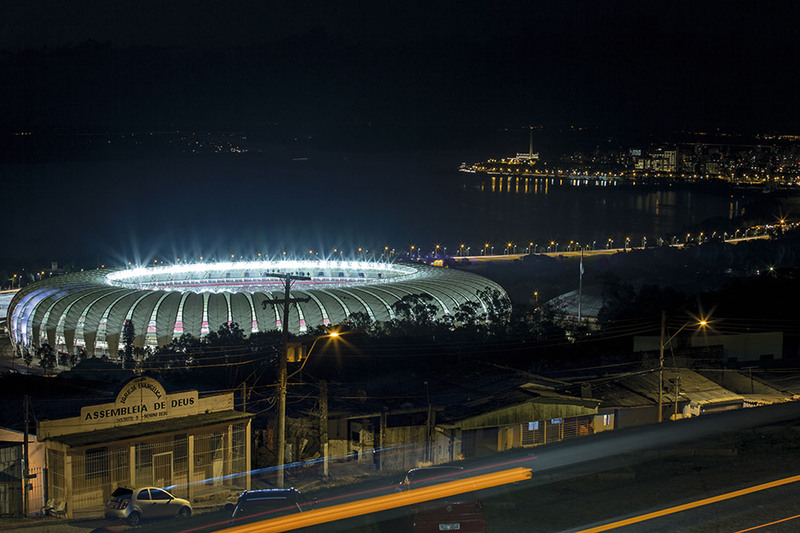 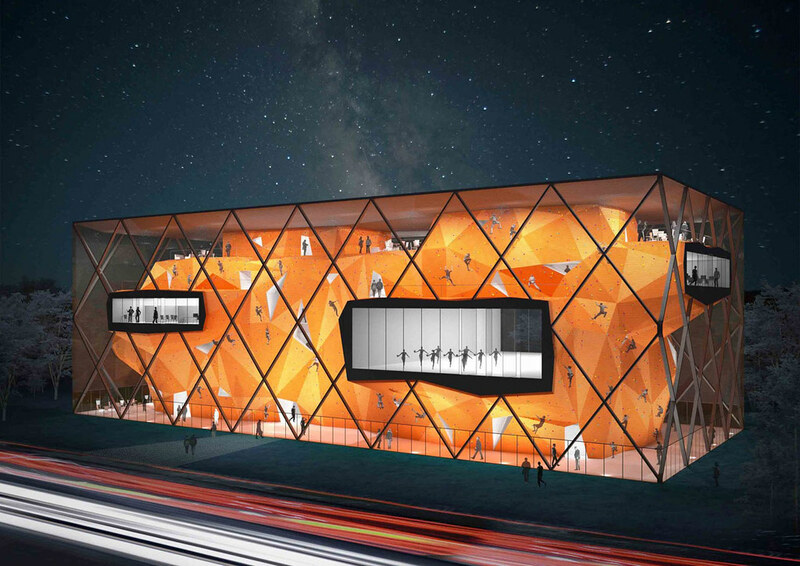 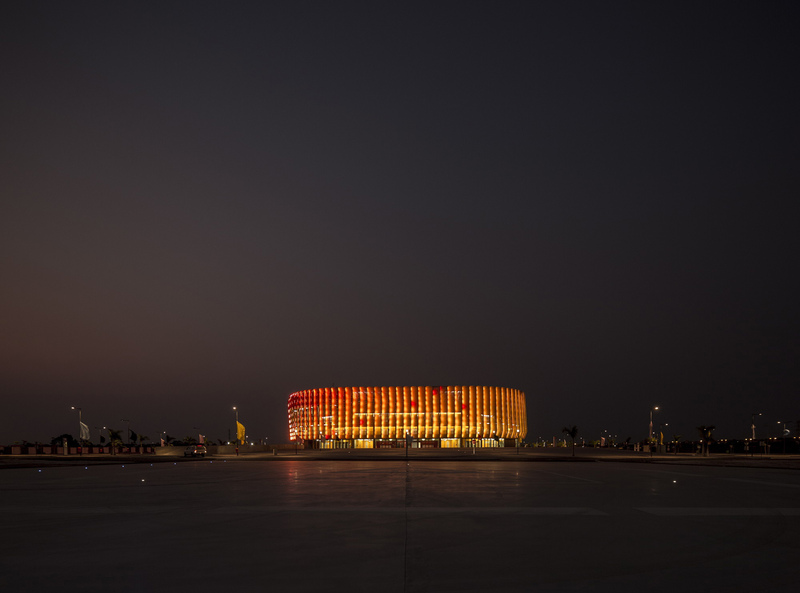 The façade allows visual experiences in both directions – from outside the arena is seen as a beautiful lantern filled with excitement and laughter, from inside the surrounding city can be seen from an elevated perspective with views in all directions. 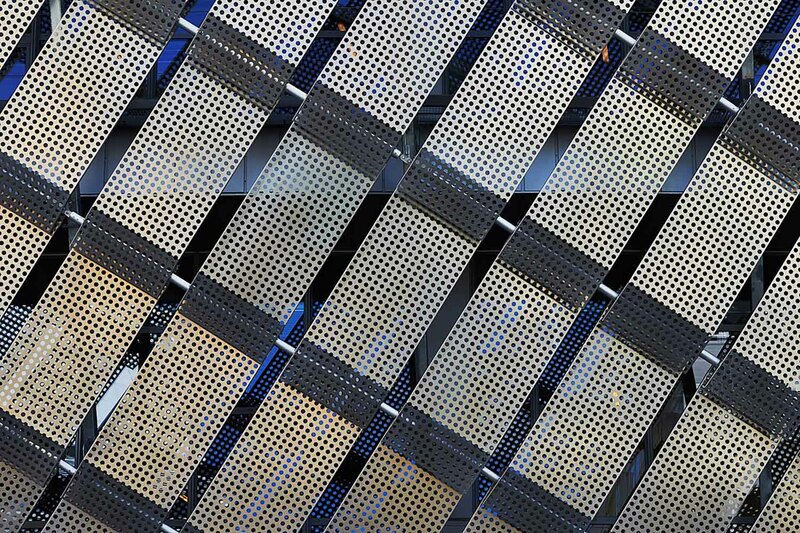 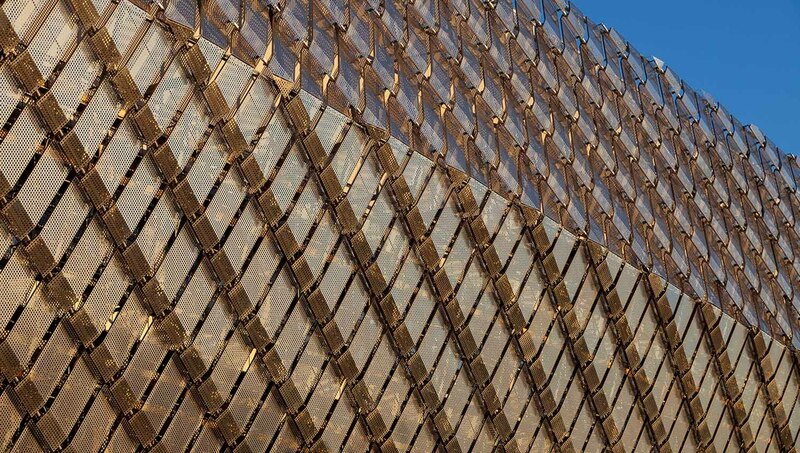 The façade comprises 20,000 square metres of perforated sheet metal with glass approximately one metre behind. 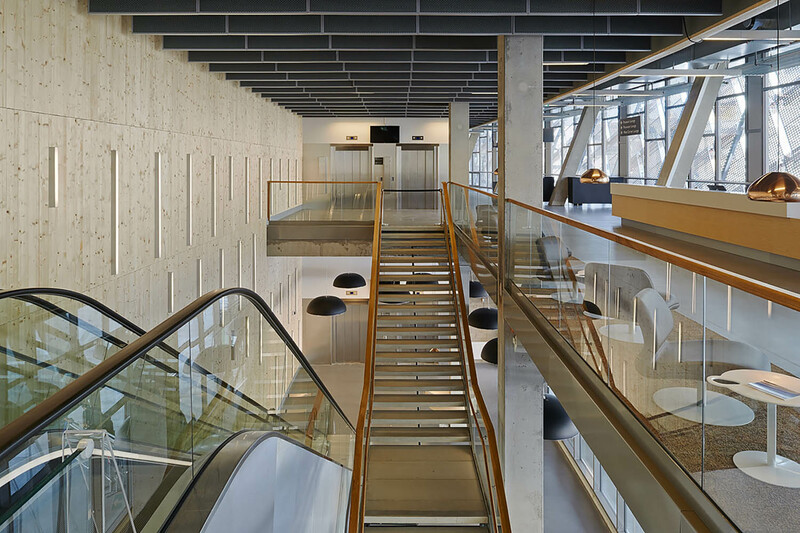 Material choices are carefully thought out and logical, with a clear preference for bright, robust, natural materials – and Nordic materials. 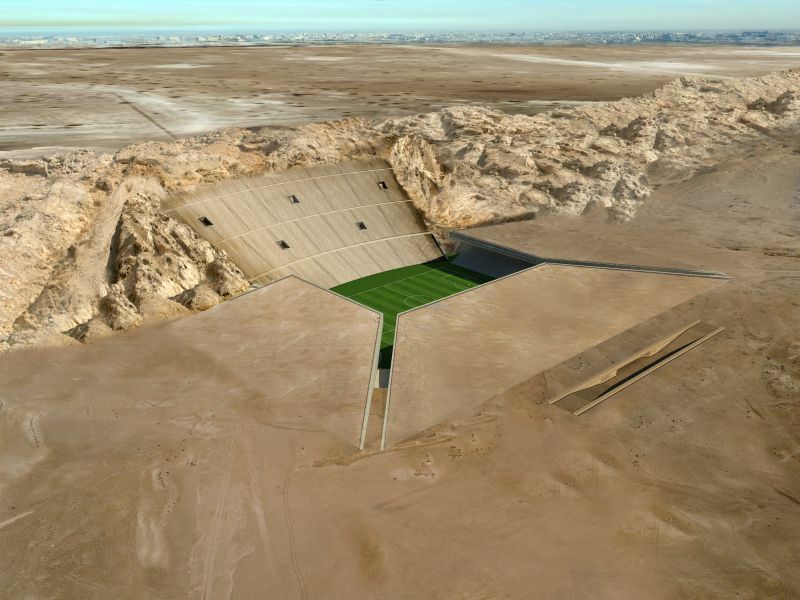 The stadium has been built for a long life at the 59th parallel. 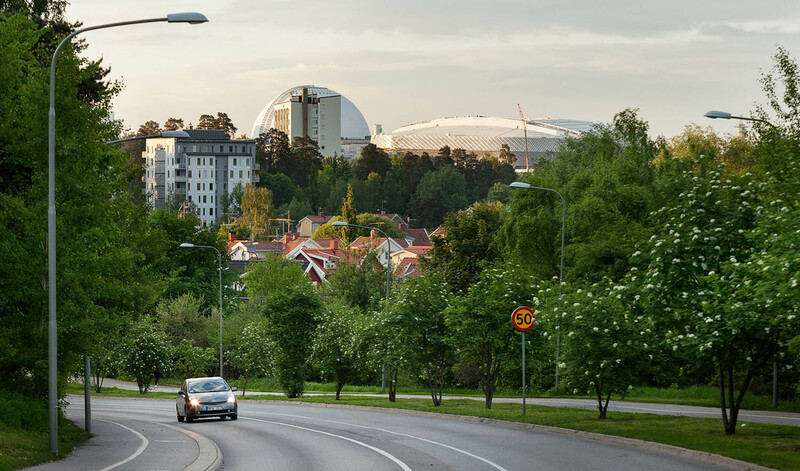 Selecting Swedish and Scandinavian materials also reduces transportation, thereby lessening the environmental impact. 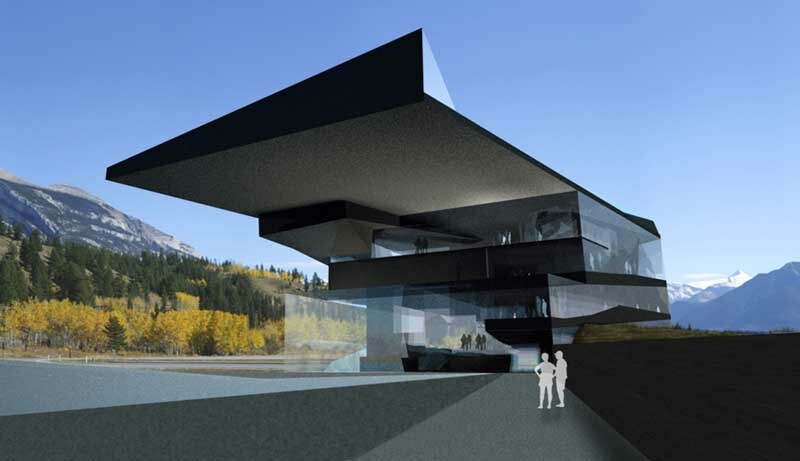 The architects’ goal has been to provide every visitor with the very best experience wherever they happen to be. 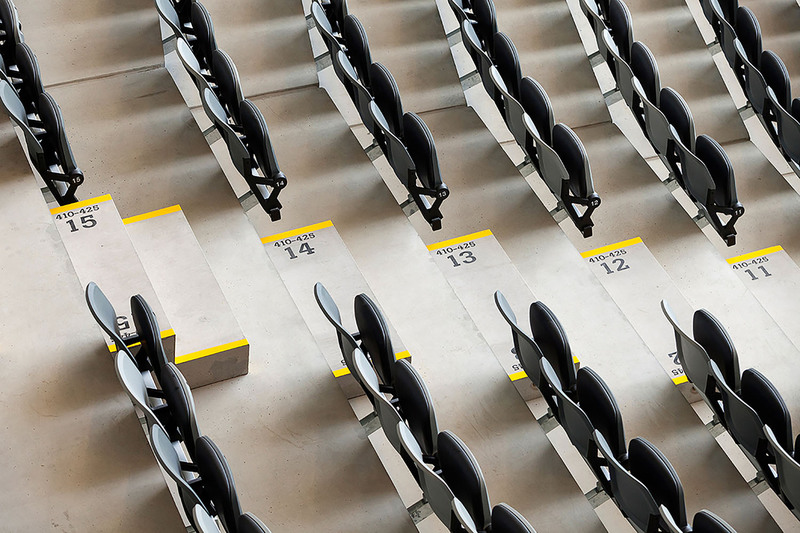 This is reflected in the carefully thought-out angles of visibility that are at the heart of the experience; the opportunity to see and hear equally well regardless of where they are sitting in the arena. 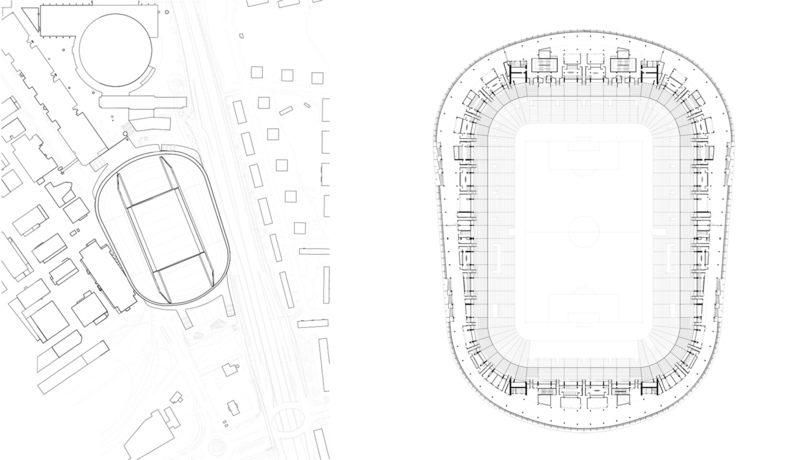 A genuine puzzle has been set out with the objective of perfecting the visibility angles. 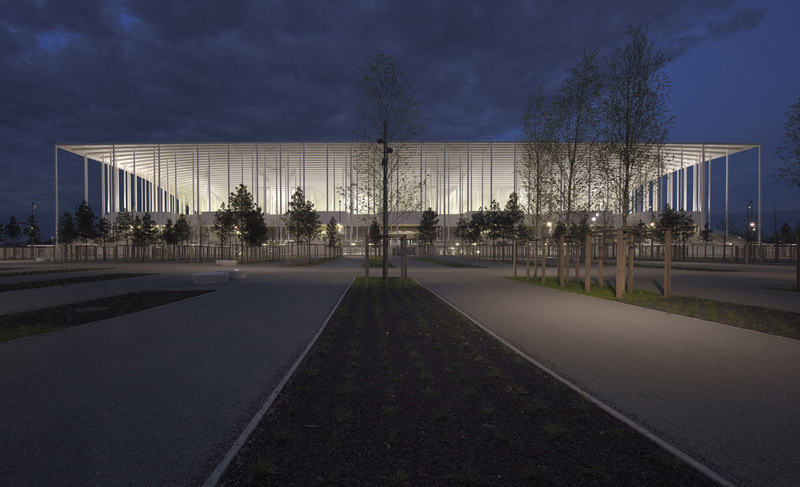 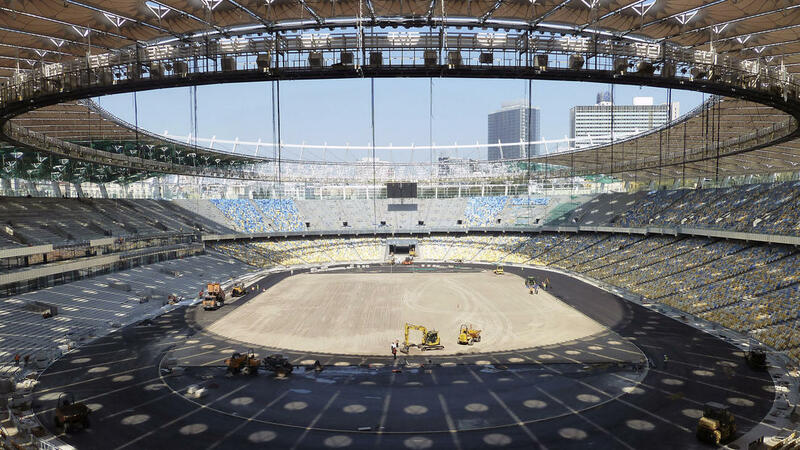 The sliding roof gives the building a flexibility that means it will be a hybrid between an outdoor stadium and indoor arena. 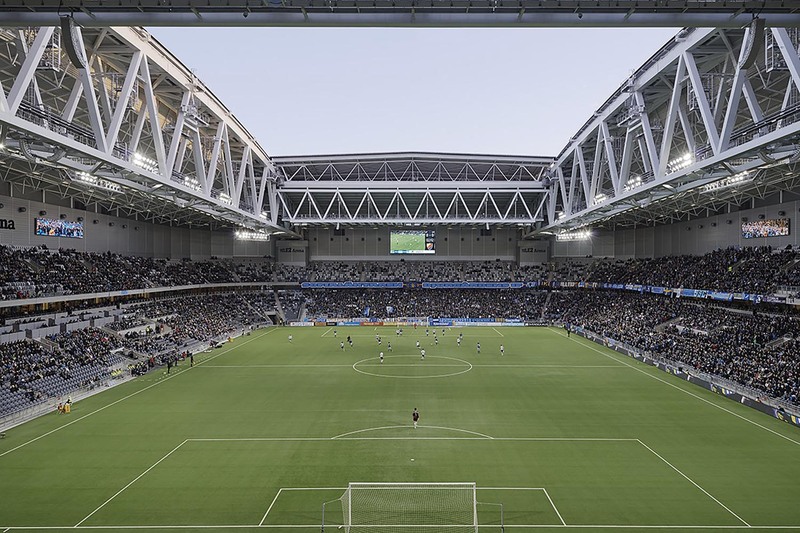 Here, for example, a football match can be played in the rain while spectators remain dry sitting in their comfortable chairs. 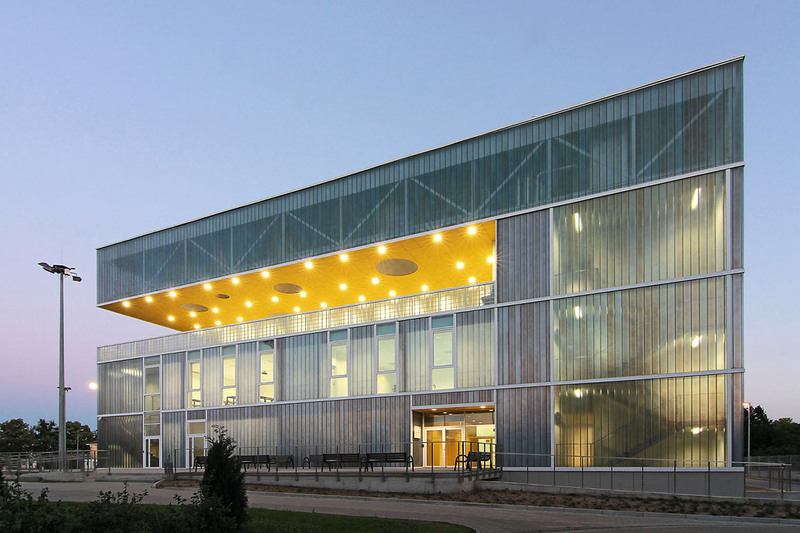 The roof consists of eight parts that are joined together in groups of four. 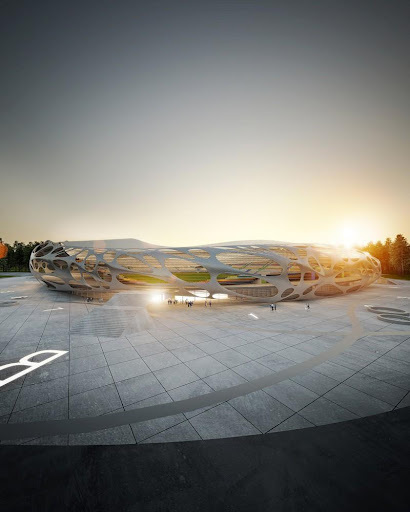 Together, these form two large roof halves. 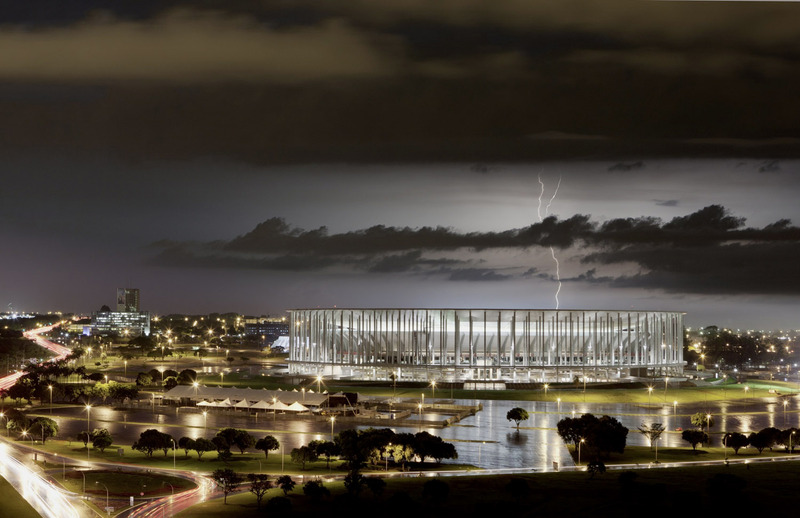 It takes approximately 20 minutes for the roof to close. 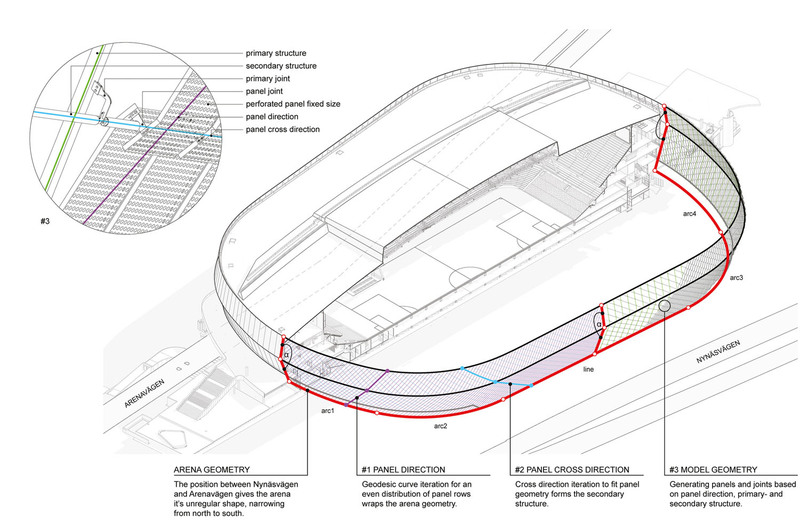 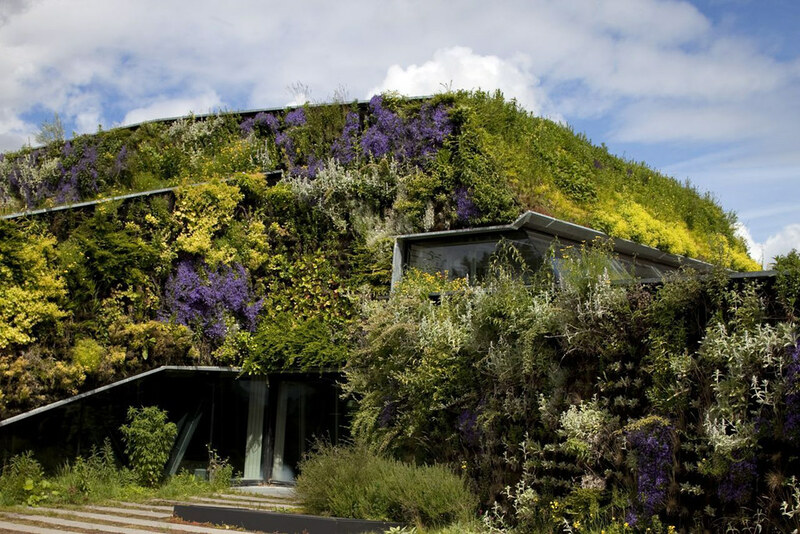 Modern sustainability thinking in an arena context is not just about the venue and its immediate surroundings. 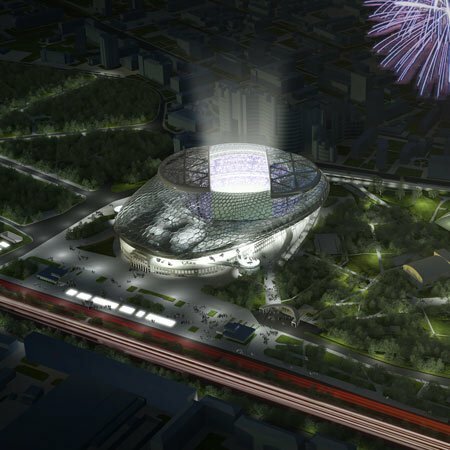 It is also about creating good conditions for environmentally friendly means of getting to and from the arena. 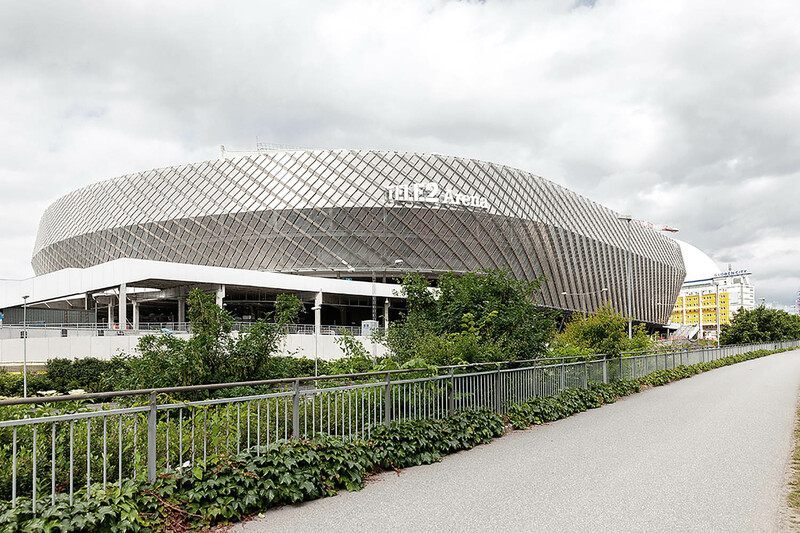 One aim is to encourage many visitors to opt for walking or cycling to the Tele2 Arena. 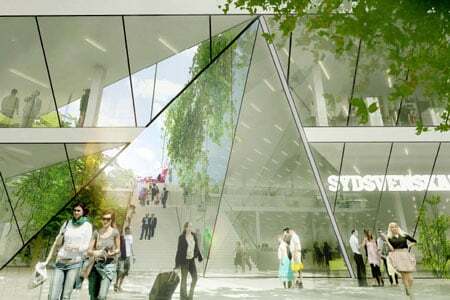 Footpaths to nearby subway stations are being reviewed, while approximately 1,000 new bicycle parking spaces are being added in the area. 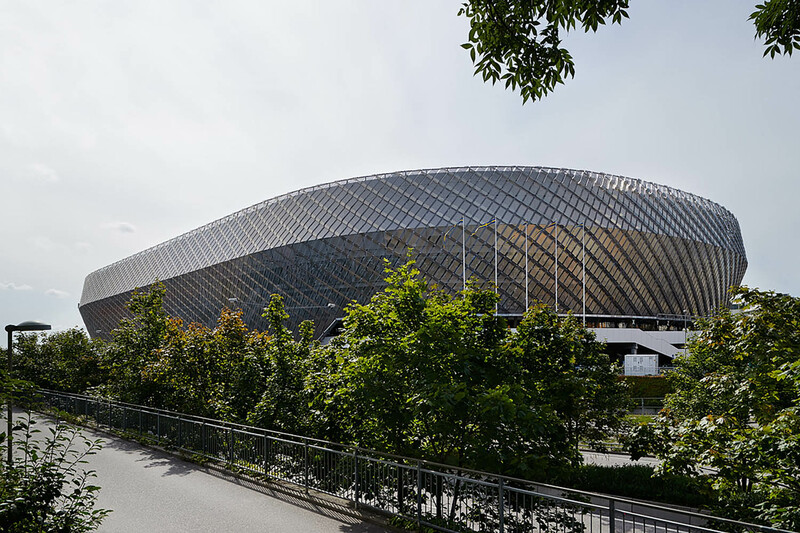 The arena is a distinctively green building with ambitious goals for certification according to the standard rating system for the industry. 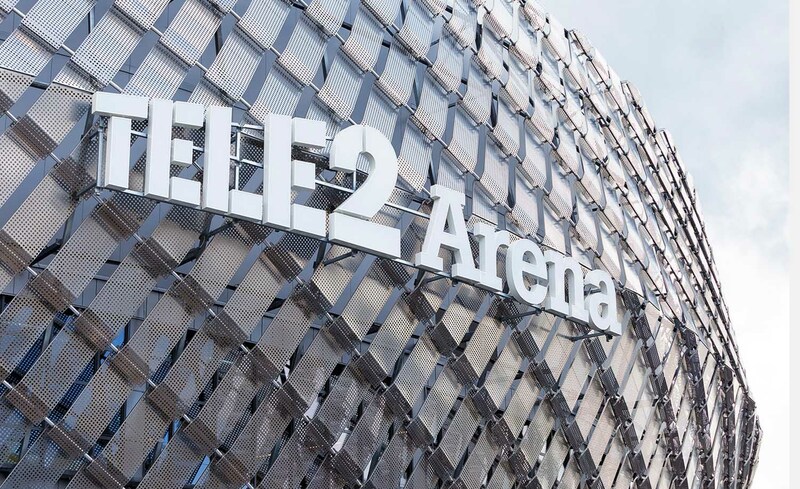 To map the arena’s impact on the environment, an environmental impact assessment (EIA) has carried out, where risk and safety, traffic, air quality and noise were examined. 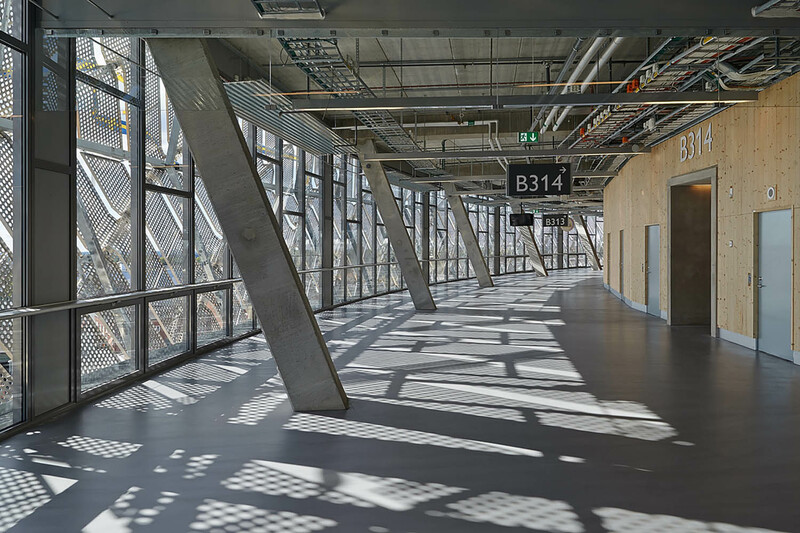 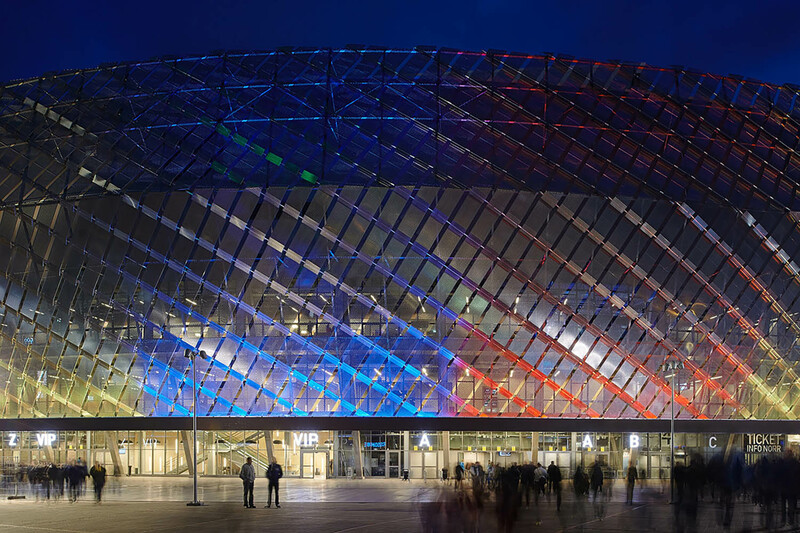 The Tele2 Arena is environmentally classified according to the Miljöbyggnad (Environmental Building) certification system.